1. Use a centralized smart home system. Malware protection and good encryption systems can protect your information no matter how far-reaching it is. The trouble comes with several independent systems: if you have to maintain separate protections for each of your devices, the underlying network, and more, it can be hard to keep everything updated. And just like if you regularly switch between a Mac and a Windows computer, not everything works well between different systems unless you spend a lot of time making it work. Instead of keeping tabs on everything individually, loop it together with a centralized system. Not only do they give additional features and much easier internal access to the information you need, everything stays more secure. 2. Make sure your system is locked onto your personal wifi. Most of the time, you couldn’t lock onto your neighbor’s wifi even if you tried. It’s too far away, the walls are too thick, and it’s password protected. But if you’re relying on other people’s security and you have your devices set to automatically find the strongest network, you’re vulnerable to people who want your data. 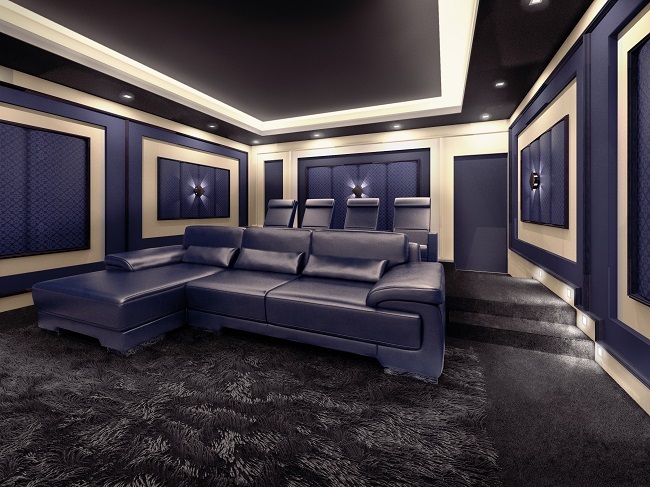 Whether you’re installing your home theater all at once or you want to add several different elements over time, make sure they’re locked onto your Internet signal only. 3. Set up administrative control. If you have children, you probably already set yourself up as the core account holder so you can add permissions and restrictions. But even if you don’t have to monitor the media, make sure you are the administrator. That gives you better insight into unusual patterns and alerts that might be hard to notice without automation. Home theaters are fun, but they also need to be secure. Go to Audio Video Solutions for professional installation and system management.